Jarvis Optometrist is an independent optometry practice in Dundee. With the optometry and dispensing optician market at near saturation, independent optometrists are under pressure maintaining their market share against fierce competition from the multiples and online dispensers. Independent practices cannot compete on price but they can compete on specialist services and continuity of care. 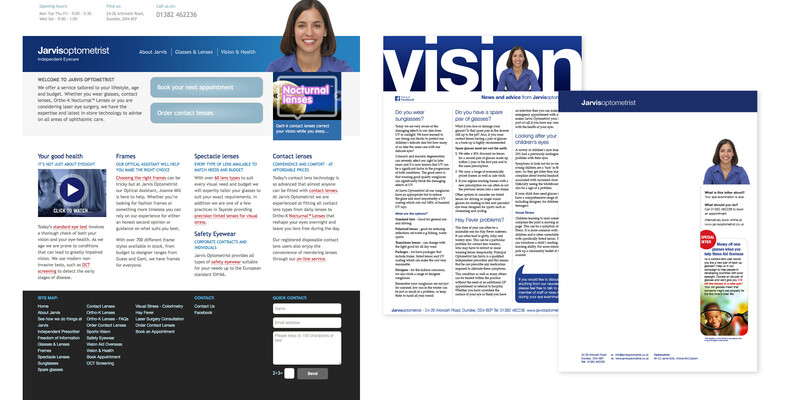 Wideopenspace designed a simple professional website for Jarvis Optometrist that leads on the importance of eye health underpinned by reference to the range of product choices and unique services.